Larger Project 1-14, Master Bathtub » Roger Perron Inc. Here is the master bath tub and glass-block shower. 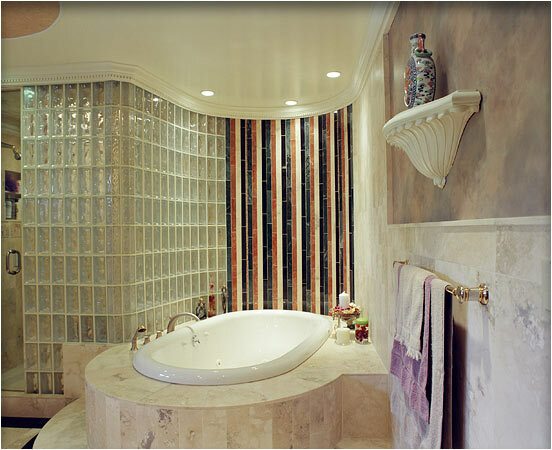 The curtain tile wall behind the tub was created from remnant tile slabs used on the overall project. The tub is cast iron drop-in style by Kohler.